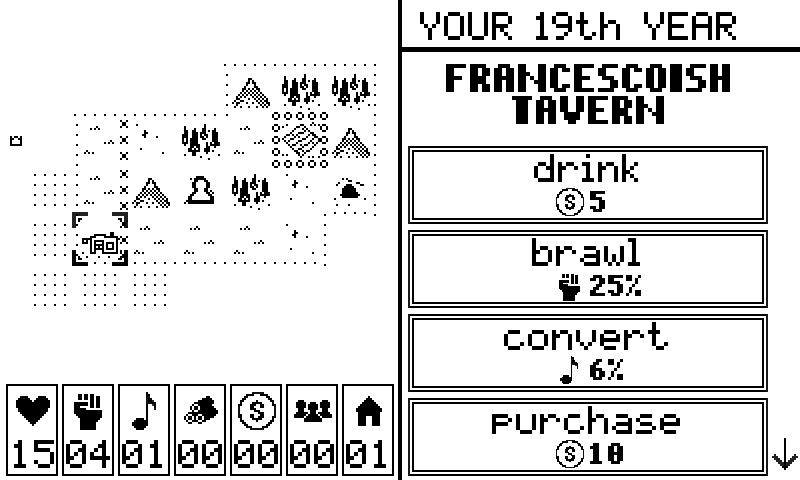 In its opening screen, Royals describes itself as an "optimistic peasant simulator." This turns out to be a rather grim tagline, given how unlikely it is that your character will ever make it past age 30. Royals is the latest game from Asher Vollmer, best known as the designer of the enormously popular puzzler Threes, but it couldn't be more different. 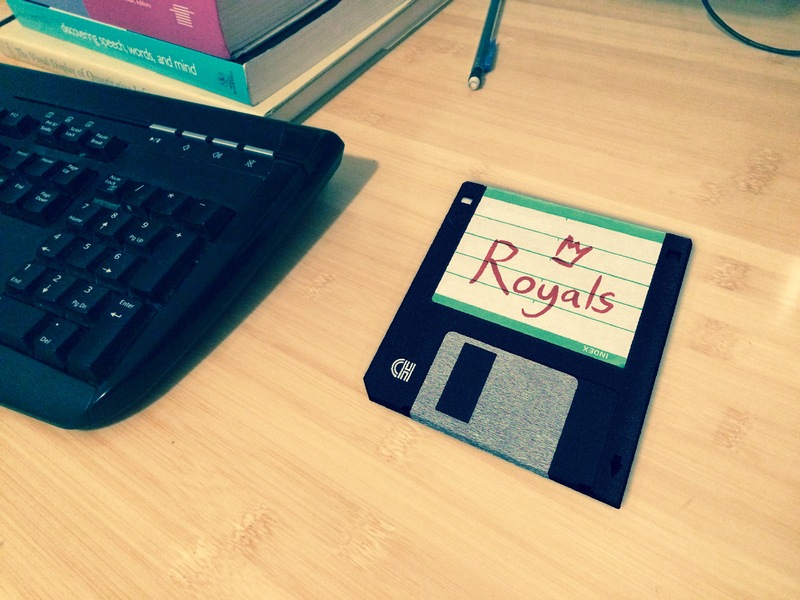 With its rudimentary 1-bit graphics and inscrutable gameplay, Royals looks like the sort of game you might have played off of a floppy disk in the 1980s. Indeed, it imagines itself as "an old forgotten game from your youth," where you've lost the manual and don't know what to do except dive in and start playing. You begin as a 12-year-old peasant with unusually lofty dreams: to become a member of the royal family. Again, it's not exactly clear how you're going to do this, although you can build, work, explore, and acquire followers to do your bidding. But spend your time wisely. The life of a peasant might be cheap, but as is often the case in poverty, that also means that it's incredibly expensive—almost every choice you make literally takes a year off of your life. Want to become more charismatic? Go meditate in the mountains. Want to become more powerful and challenge the king's armies? Spend a year running free in the forest. Just remember that no matter what you do, you're going to die young. That's freeing in a way; there's no real penalty for experimentation when your life is but a fleeting candle. 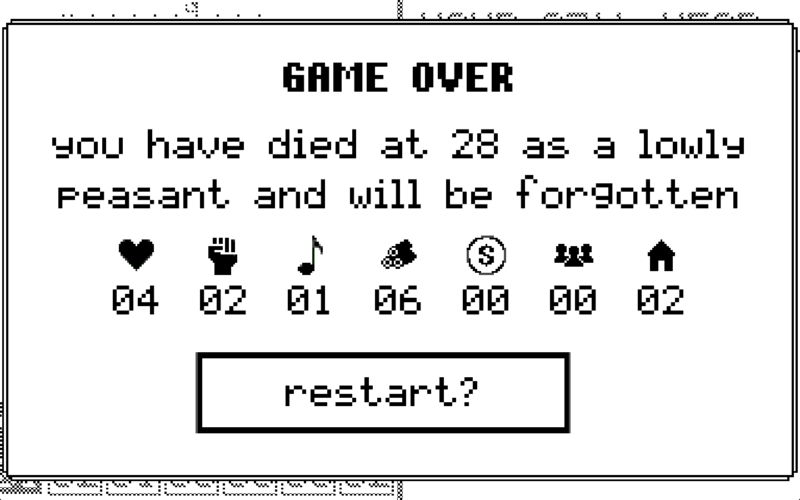 Hell, I'm not even sure if there's any way to win the game. Maybe your peasant is just a dreamer doomed to fly too close to the sun! I've messed around with it for a few hours, and most of the fun is exploring—not just the physical space of the game, but what it means and how it works in the absence of any instructions. It's easy to forget how pleasurable that lack of knowledge could be, back in the early days of video games: the feeling of finding yourself stranded in a highly abstract digital world where the rules were uncertain and there was no map except the one you made. Go play Royals, and remember.